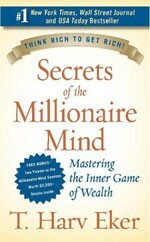 T. Harv Eker is the author of Secrets of the Millionaire Mind: Mastering the Inner Game of Wealth, which is a phenomenon in the publishing industry, and hit #1 on the New York Times, Wall Street Journal, USA Today best-seller lists, and several other national lists, the first week it went on sale. Eker is president of Peak Potentials Training, one of the fastest growing ‘personal success’ training companies in North America. He regularly fills convention halls with upwards of 2,000 people with his world-famous Millionaire Mind Intensive seminar and other programs. 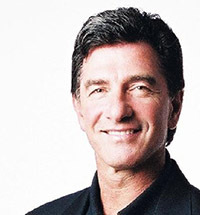 Eker is considered to be one of North America’s most exciting presenters. His high-energy, ‘cut-to-the-chase’ style keeps his audience spellbound. He uses ‘breakthrough’ techniques and high involvement, ‘accelerated learning’ techniques so that participants learn faster, remember more, and achieve maximum results. The change in people is immediate and permanent. Eker’s motto is ‘talk is cheap’ and his unique ability is getting people to take ‘action’ in the real world to produce real success. Over a quarter million participants have come from all over the world to attend Eker’s seminars. His events change people’s lives.